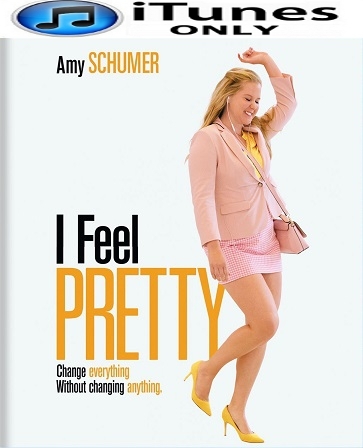 Digital UltraViolet and Digital Copy will makes it possible for you to stream the movie I Feel Pretty HD iTunes Code instantly to your computer and compatible Smartphones, Andriod, iphone, iPod Touch, iPad and tablets devices anytime, anywhere. You can also download a Digital UltraViolet Copy or a Digital Copy of the movie I Feel Pretty HD iTunes Code to your computer and compatible devices. This hilarious and relatable comedy also stars Academy Award nominee Michelle Williams, Rory Scovel, Busy Philipps, Aidy Bryant and Emily Ratajkowski, and is being hailed by critics as "funny and emotionally revealing" (Justin Chang, Los Angeles Times).